This charming Short-Back Teak Rocking Chair was designed with both comfort and style in mind. 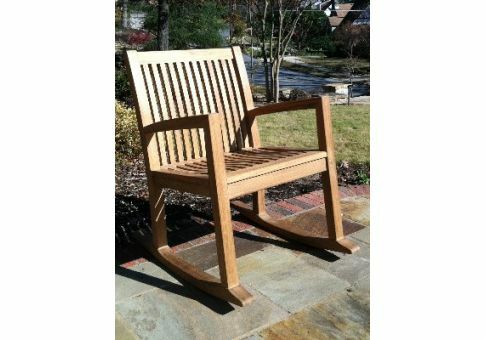 It's easy to relax in this teak rocking chair after a hard day. 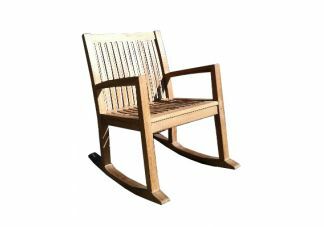 The chair's tight slats give it a modern and sturdy look, and its contoured bottom and rocking motion provide comfortable seating.